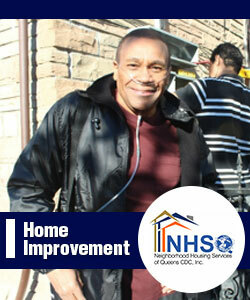 Neighborhood Housing Services of Queens CDC, Inc. (NHSQ CDC) has been serving Queens Neighborhoods for over 20 years. NHSQ CDC is a non-profit organization that helps low-and-moderate-income families continue to live in Queens by sustainability achieving or preserving homeownership. We focus our work in six community districts that have more than 1 million residents—of whom 17.4% live below the poverty line while 32% own their own homes. NHSQ CDC revitalizes under served neighborhoods by preserving affordable housing and providing Queens county residents with opportunities for homeownership education, financial assistance and community leadership. Working in partnership with government and business, NHSQ CDC is led by local residents and guided by local needs. 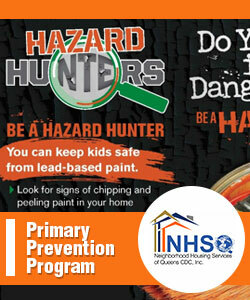 To help Queens’ residents, NHSQ CDC provides a full-range of Homeownership Promotion and Preservation programs that include: pre - and post-purchase education and counseling and subject-specific seminars such as, Homebuyers' Clubs, Financial Fitness, Landlord Education, Foreclosure Prevention, and the Home Maintenance Training Program. During the past four years, more than 4,000 clients have received educational or counseling services. Because of this work, we have helped 130 families in our service area purchase their first home, by facilitating $41.8 million in affordable and fixed-rate mortgage financing. We graduated 300 from our eight-hour, home buyer’s education classes during this four-year period. 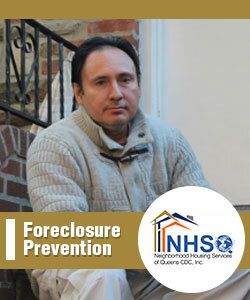 In addition, we provided 820 distressed homeowners with individual counseling services about avoiding a foreclosure while helping 96 successfully preserve their home. Additionally, between January 2013 and December 2016, NHSQ CDC has served: 175 clients who attended our 24 hours Home Maintenance Training Course; and 50 homeowners who received over $372,500 in low-interest loans to finance critical repair projects.